Led by two members of the SL&P Group, Zoe and Emily, the playground plans include wooden play structures and imaginative play facilities for toddlers, including a mud kitchen and living playhouse, alongside features for older children including a slide, scramble net and monkey bars. The volunteers submitted an application for funding in 2016, which they were successfully awarded, and have since been working on designs, consultations and a maintenance programme to successfully implement and ensure longevity for the facilities. 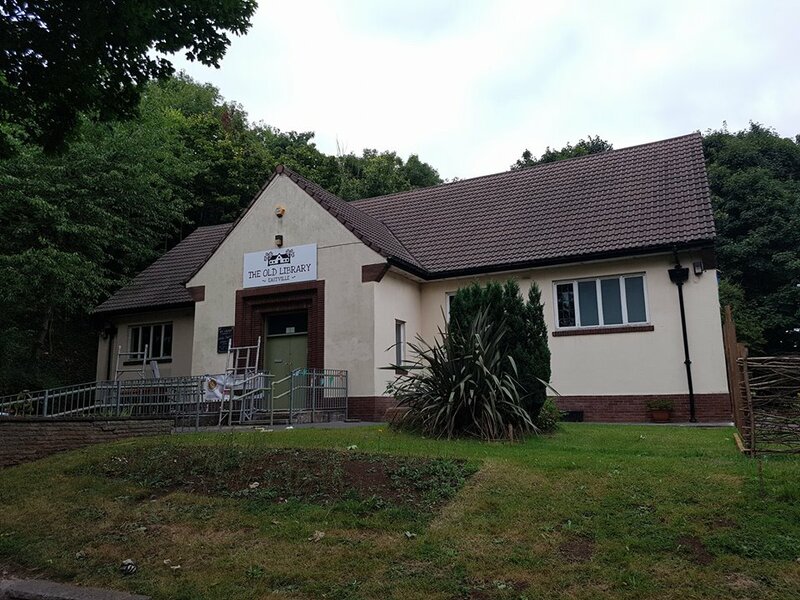 The funding also improves pathways around the Old Library building so that the garden space and play facilities can be accessed by wheelchairs and buggies, and some perimeter fencing to improve safety on one of the slopes within the garden. “We have been working throughout our evenings and weekends to come up with a suitable design and ongoing maintenance programme to ensure that our neighbourhood gets the best facilities for the funds we have access to, and provide a fun, imaginative and exciting space for children and parents alike. The space will be located behind the Old Library, and has been designed based upon feedback from families and children alongside supporting the groups aims of inclusivity, engagement with the outdoors and nature, and improving community facilities for all in the area.” commented Emily Shimell, Volunteer Chair of the group and local resident of Elmcroft Crescent.